With stylish finesse and pearlescent petals, this modern floral wall covering creates magnificent intrigue on walls with a bursting silhouette print in a chic grey hue. Magnificently bold, this teal infused wall covering brings a chrysanthemum inspired print to walls in a pretty burst of pearlescent petals and a contemporary silhouette design. A flourishing green trail of budding floral, enchants walls with delightful flavor. 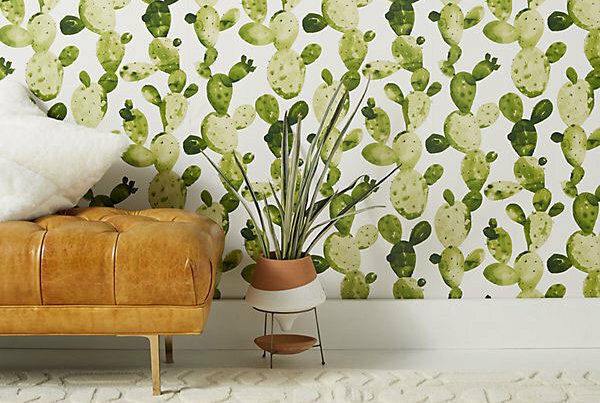 This folk art inspired wall covering with rich Scandinavian influence, creates a fresh and fun atmosphere inside your home.